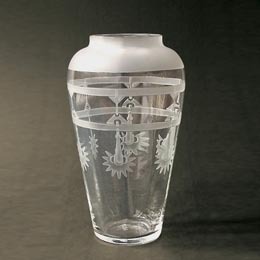 Glass vases and bowls are traditionally manufactured in glassworks of North Bohemia. Decor is painted by enamels and gold or laid on by special plastic sand-blasting technique. Every item is part of a limited series and comes with the certificate of origin and quality. Bowl – inspired by Mucha’s design from Documents décoratifs. 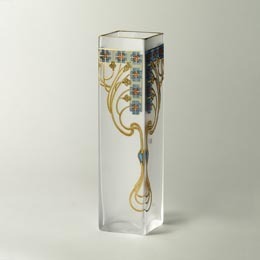 Vase painted – decorative theme inspired by design of A. Mucha in Documents décoratifs. Vase – realization by A. Mucha’s drawing from Documents décoratifs, 1902. 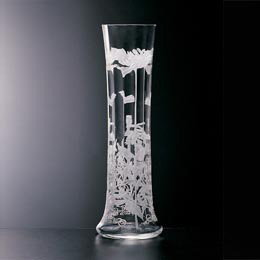 Vase – floral theme from Documents décoratifs. 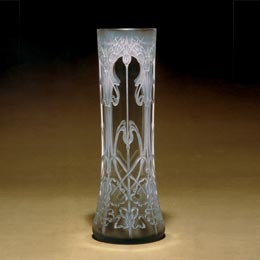 Vase – corn-cockle theme from Documents décoratifs by Alfons Mucha. 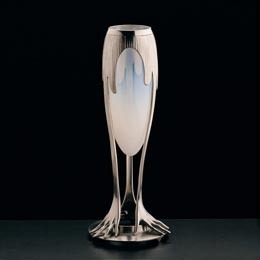 Vase painted – ornamental theme from Mayor’s lounge in Municipal House in Prague.